The word Mzansi means south in isiZulu and is also the township slang word for South Africa. The choir's repertoire is an exciting assortment of South African music which incorporates elements of traditional music, pop and jazz. Since its inception the choir has built up a national and international profile and is regarded as one of the best - if not the best show choirs in the country. Performance highlights include the One World Music Festival in Durban, a performance on the reality television show 'Idols', the Presidential Awards Ceremony, RMB Starlight Classics and a performance with Andrea Bocelli. 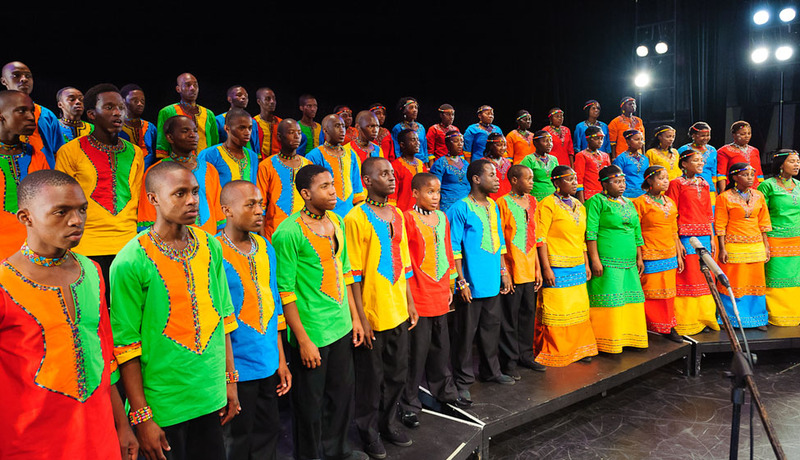 The choir has performed at numerous events for corporations such as SASOL, MTN, Audi, Spar, Murray and Roberts, SAP, Standard Bank, Barloworld, Massmart, Nedbank and Gijima. The Mzansi Youth Choir has also appeared on television commercials most notably Naija Sings (M-NET Africa) and a montage for the FIFA World Cup (ESPN/American Broadcasting Corporation). During the 2010 FIFA World Cup the choir shared the stage with Columbian superstar Shakira and local band Freshly Ground for the performance of the official World Cup song Waka Waka at the Kick-Off Concert and the World Cup Final. The choir recently undertook its first international tour to Canada where they performed at the Stratford Summer Music Festival, the Canadian National Exhibition and on Toronto Breakfast Television. The choir performed to full houses and received an enthusiastic standing ovation after each performance. The Mzansi Youth Choir's importance to society is visible in three spheres: the personal-social sphere, the family sphere and the community sphere. In the personal-social sphere. Children brought together through music are characterised by their spiritual, moral, intellectual and emotional development. Being in a choir from their early years helps them as individuals to grow within a healthy group, gaining invaluable intellectual, social and emotional experiences. It also teaches the values of patience, discipline, endurance, the ability to compromise as well as the value of one's personal contribution in order to fulfil a collective end. There has proven to be a strong, positive relationship between doing well in regular schoolwork and activities combined with the study of music. The family sphere is characterised by the unconditional help that the learners singing in the choir receive from their parents and relatives in order to help them stay in the choir. Thus fulfilling the goals that each choir member has formed, according to their own talents and interest. In the community sphere. 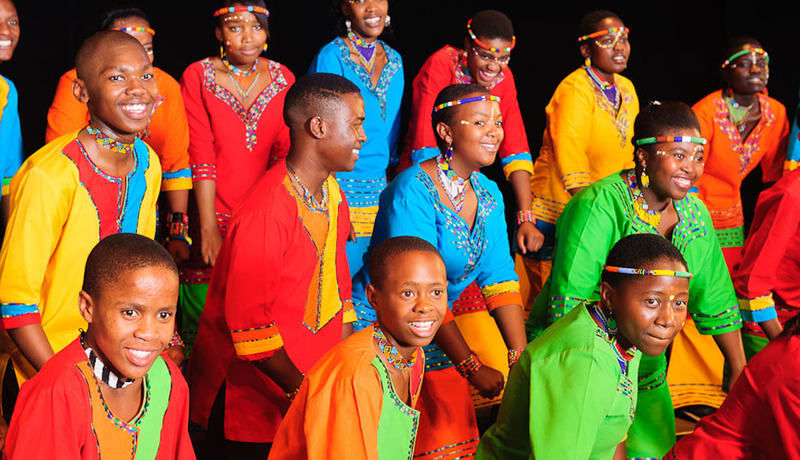 Through the Mzansi Youth Choir Project, the concept of choir has revealed itself as a new kind of cultural area, where the interchange of new ideas and perceptions take place. In this way, town squares, theatres, schools, churches and parks should literally be filled with youth and children choirs in South Africa, showing us a new way of social interaction, enlarging and expressing the culture of our country. This is a developmental project as it provides opportunities for disadvantaged children. Wonderful voices and musical talent aside Mzansi’s choristers are exceptionally eager to learn, and greatly value the opportunity to be part of a professional choir with national interests and international ambitions.